Is your PC running at a snail’s pace? Are you experiencing frequent pop-ups and weird goings on? If so, it’s more than likely that your system has been infected by a virus, spyware or other nasty. But I have antivirus; I hear you cry. OK, but that doesn’t mean your PC is entirely immune to the ‘bad guys’. It could be playing up because you have a hardware issue. Either way, the following steps will help you discover if the cause is something more sinister. First up, disconnect your PC from the internet. Then boot into safe mode. In most versions of Windows this is relatively straightforward, but if you’re using Windows 10, select you’re going to need a bit of help. If your PC runs faster in safe mode is could be a sign your system has a malware infection, or that you have a lot of legitimate programs that start up with Windows. Once in safe mode, and before running a virus scan, delete your temporary files using the Disk Cleanup utility. If you have an active antivirus program on your computer, use a different scanner for this malware check. Remember, no antivirus program can detect 100% of malware. 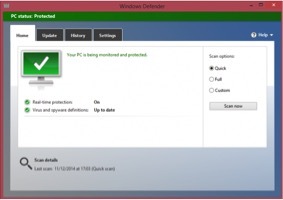 If you think your PC is infected, use an on-demand scanner (e.g. BitDefender Free Edition, Malwarebytes, Microsoft’s Malicious Software Removal Tool etc.,) first and then follow up with a full scan by your real-time antivirus program. Reconnect to the internet to download the on-demand scanner, but make sure your disconnect again before you start the scanning. Run the setup file and follow the wizard to install the program. Once it has run, you’ll get a report on the start of your PC. If anything shows up, follow the program’s removal process. Then run a full scan with your real-time antivirus program to make sure it’s gone. 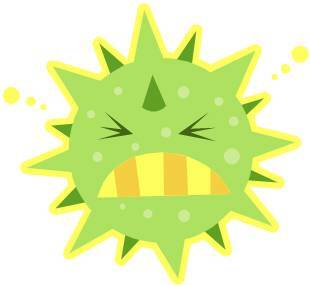 How Quickly Will A Virus Infect Your Computer? Of course, not everything follows the same patterns and some types of viruses or malware are consistent in their behaviour, generally starting to act as soon as they download. Computer viruses have been around for ages, and they’re continually evolving. Technological advances have not only helped create better security, but they’ve also helped virus creators develop newer strains using even more ingenious methods of infecting computers. It’s a continuous cat and mouse cycle. It’s for that reason that it’s imperative you keep your systems protected. Of course, we’re not just talking PCs. You also have to consider laptops, tablets and your smartphone. Author itsupportbloggerPosted on March 7, 2018 March 5, 2018 Categories Antivirus, Computer virusesTags computer virusLeave a comment on How Quickly Will A Virus Infect Your Computer? As a Mac user, you’re probably shaking your head in disbelief at this news. Despite thinking Macs were completely free of malware, Malwarebytes have recently found the first piece of MacOS malware of 2017. The old code that was discovered is simple but ingenious. It is made of only two files and yet capable of communicating with a remote command and control server, and of taking and sending screenshots. Apple itself is aware of the malware, calling it “Fruitfly,” and has since released an update to protect against future infections. So you see, if you think your Mac is less of a target than Windows 10, think again. It would be wise to run some malware software on your Mac and scan it periodically with an application like Malwarebytes to make sure you’re not infected. Ransomware is a nasty type of malware that encrypts your business or personal files on your hard drive and then demands money. Once the user pays the ransom, the malware usually assists with the decryption process. The effects can be devastating both for you personally and your business, which is why we wanted to draw your attention to a free piece of software that could bring the protection against ransomware you’ve been looking for. Cybereason’s RansomFree is a free desktop program for Windows 7 and up. It uses behavioural analysis instead of regularly updates malware definitions to protect your machine. By analysing all the ransomware it could find, Cybereason identified common characteristics for which its program monitors your system. If it spots any, that program is flagged for review and the program suspends any activity it thinks is suspicious. The program is easy to download (from Cybereason’s website – follow the link above) and will alert you that the program has placed some specially constructed files on your system that help RansomFree do its job. It then sits quietly in the background until it is needed. Why should you invest in antivirus software? Because there’s always someone out to get you. Granted, it’s not a cure-all that will guarantee your online safety, but it will go a long way to helping you fend off any external threats that come knocking on your door. The problem is, with so many on the market how do you find the one that’s right for you? Well, the IT pros in the Spiceworks Community have put their heads together and come up with a list of their top 10 antivirus products. Since the beginning of 2016, the Spiceworks Community has reviewed Malwarebytes’ antivirus software and the verdict is clear: it’s a favourite among IT pros. It removes malware, blocks pop-ups and redirects, shields browsers and add-ons, offers ransomware protection, helps defend against zero-day exploits, and offers full end-point monitoring. It also offers a free version of its anti-malware software for Mac and PC. 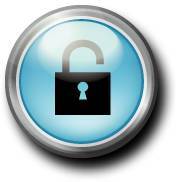 This offers web filtering, application control, and data-loss prevention tools. It is available as a cloud-based service and as an on-premises management platform. Sophos offers free trials of its antivirus solution; prices are available via quote. Avast Free Antivirus features malware detection, real-time analysis of unknown files, browser protection from unwanted extensions, and password management. It also offers paid antivirus solutions — Pro Antivirus, Internet Security, and Premier — that extend upon the core functionalities of its free package. However, Avast Free Antivirus can only be used on personal, non-commercial computers. If you’re looking for a business alternative, you’ll want to look at Avast’s business offerings. Currently available on a free 30-day trial, this one features real-time protection, behavioural monitoring, cloud-based management, a rollback system, and real-time forensic logs. Its central dashboard is easy to navigate and policy creation is a breeze. It also offers a suite of other products for small-to-medium-sized businesses, enterprises, Internet of Things, and real-time threat intelligence. 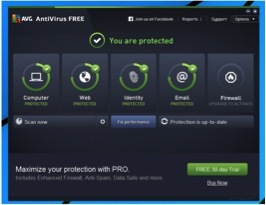 AVG Anti-Virus Free Edition provides all the necessities, including a tool for scanning your hard drive and e-mail, as well as a real-time shield to prevent infections. By default, the application is set to search for new virus definitions daily, but you can also use the scheduling tool to change this. AVG also offers AVG File Server Edition, AVG Antivirus Business Edition, and AVG Internet Security Business Edition. However, AVG Free Antivirus can only be used on personal, non-commercial computers. If you’re looking for an alternative, you’ll want to look at AVG’s business offerings. With a simple interface and clean design, Bitdefender offers a free 30-day trial. It features zero-day threat protection, easy integration with other third-party security solutions, and combined antivirus and anti-malware protection. Available with a free trial, AVG Antivirus Business Edition offers free support for mobile devices, remote management, a file shredder to securely delete files, a firewall, identity protection, a link scanner, ransomware protection, and more. This one includes integrated patch management to automatically update vulnerable software programs on your PCs; integrated Mobile Device Management to secure Android devices, iPads and iPhones; antivirus for PCs and Macs; a firewall; bad website blocker; anti-phishing and more. With free trials available, Kaspersky Endpoint Security for Business features a unified management dashboard, anti-malware services tailored to file servers, mobile device management tools, encryption, security for email, and more. How Protected is Your Company? 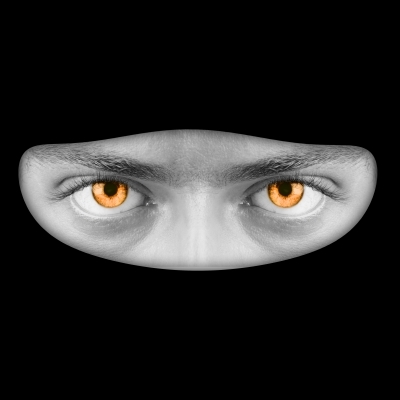 One of the biggest headaches you face is keeping your business data safe from prying eyes. You might think that because you’re not one of the big global players no one would bother about hacking into your systems, but cyberattacks on small businesses are becoming more common. Data is big business and your clients rely on you to take every possible precaution to keep their personal information safe, so you owe it to them to make sure you’re covered. If you’re reading this thinking, “this doesn’t apply to me, I’ve got it covered,” think again. Did you know that 25% of tablets and 35% of smartphones used in businesses are not equipped with security software? Can you in all honesty say you’ve got 100% coverage? Those are some pretty scary statistics. So what can you do to protect your business from such attacks? You can protect your business without it costing the earth. After scouring the marketplace, we recommend that our clients use Panda Security’s Small Business Protection. It doesn’t cost the earth and offers lightweight, powerful antivirus protection for both new and older PCs. You can download it and enjoy complete protection without having to ask for technical assistance. 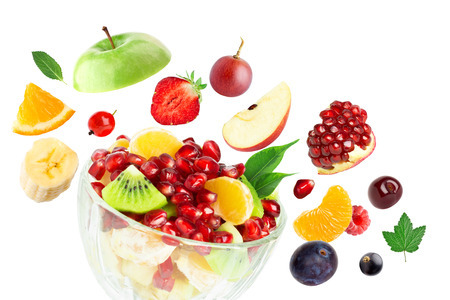 They’ve even produced this infographic to help illustrate the benefits of the product. We hope you find it useful. For more information about the product, get in touch and we’ll tell you everything you need to know. Author itsupportbloggerPosted on August 31, 2016 August 30, 2016 Categories Antivirus, Computer safety, Computer viruses, Data Management, Internet securityTags cyber attacks, data protection, internet security, Panda securityLeave a comment on How Protected is Your Company? We always recommend BullGuard Internet Security to our clients, which inevitably means they ask why. That’s why we decided to write this post so we could give you the low down on why we think it’s the best product on the market. For starters, in January this year UK consumer champion Which? endorsed BullGuard Internet Security 2016 with a Which? ‘Best Buy’. It’s simple to install and easy to use. BullGuard installs in minutes. Its intuitive layout makes it simple for you to run a quick scan, adjust protection levels, back up your files, customise your settings and more. Everything is just one click from the main BullGuard home screen. The latest version of Antivirus includes Behavioural Detection, which spots new viruses by how they act on your computer. Together with Signature-based Detection, which deals with known malware, they make up a multi-layered defence system for PC that’s virtually impenetrable. There is a whopping 5GB of FREE online storage included so you can keep your important data, photos, music and more safe. You can choose what you want to back up and how often, or just set the feature to auto backup. You can even back up content directly from folders with one click. Plus your back-up data is easily accessible whenever you want to view it or restore it to another computer or even your smart phone. This is your first line of defence against unwanted hackers and identity thieves. The firewall protects you against network attacks and prevents cyber crooks from entering your system. The BullGuard support team is there for you 24/7, providing expert advice and quick answers to your questions. As you can see, it’s a pretty comprehensive internet security package. If you want to learn more give us a call. Up ’til now, users have thought of their Apple products as safe as houses. Unlike Microsoft, that’s been a target for cybercriminals for years, the Apple family has always been thought of relatively risk free – but according to a recent report by the BBC, this may no longer be true. With their products (and market share) growing in popularity, Apple malware is on the increase. In fact, last year on average between 10,000 and 70,000 Mac computers were infected with malware. Granted, that’s still small fry when you compare it with Windows desktops, but it’s a worrying trend. A significant amount of this growth in attacks is accounted for by so-called greyware – applications that may not have malware attached, but can still be annoying to users, by serving up unwanted ads or tracking their web-browsing habits. Symantec also found seven new threats aimed at Apple’s mobile iOS platform, with jailbroken devices – those that have been unlocked – being particularly vulnerable. Plus, hackers are also increasingly targeting corporations, where Mac use is now more prevalent. A corporate espionage group known as Butterfly which attacked multi-billion dollar companies in 2015 developed malware tools that attacked both Windows and Apple computers. What does the future hold for Mac users? It has always been the case that iOS has been seen as a more secure platform than Android because of the more closed community that Apple runs for its apps, but that is changing. According to the security firm, FireEye, although the vast majority – 96% – of mobile malware is targeted at Android devices, iOS is no longer immune. It also discovered that XcodeGhost, iOS malware that Apple acted quickly to remove from its app store, had found its way into the networks of 210 US businesses. It was thought to be the first large-scale attack on Apple’s app store. It’s thought the introduction of new payment systems, such as Apple Pay, will add a financial incentives for hackers. On the whole, Apple is still a safer option than Windows, but it’s worth keeping vigilant to make sure nothing untoward makes it way onto your machine. 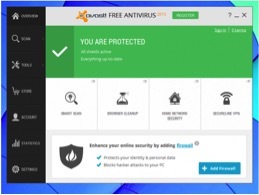 Which Free Antivirus Software is Right For You? Antivirus (AV) software is a must for every PC owner. You’d be daft to use one without it. But with so many to choose from, how can you be sure you find the right one for you? Plus, should you be paying for it, or is one of the free ones just as good? Like you, we love to get something for nothing and so were pleased to stumble across a post in alpha.com that looks at the best free AV available right now. Here are their 4 top AV packages. Simple to use, Avast delivers an effective virus protection in a lightweight, but well-equipped package. AVG offers loads of features. It also has protection scores that are pretty damn close to those boasted by Avast. In our eyes, this one is a better bet than the next one on our list – Microsoft Security Essentials. This one only covers the basics of malware protection. Although it has improved in its internet protection ratings, it still lets through a significantly higher percentage of attacks than third party security software. This is a slight improvement on Microsoft’s offering, but it can’t match the performance of either Avast or AVG. Panda’s malware protection score is a respectable 90%, but it’s closest rival, AVG, performs better. 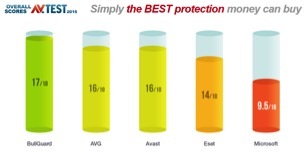 To sum up, if you want safety and security for your PC, go for either Avast or AVG. Author itsupportbloggerPosted on December 9, 2015 Categories Antivirus, Computer safety, Computer viruses, Internet securityTags antivirus, avast, avg, free av software, Microsoft, pandaLeave a comment on Which Free Antivirus Software is Right For You?